The main phytochemicals that give turmeric its most impressive and wide-ranging health benefits are curcuminoids. Amazingly, over 9,000 medical and clinical research studies have been conducted on this amazing spice and curcumin in recent years, with most noting significant benefits. There are 3 primary phytochemicals in the curcuminoid family that produce the health benefits: diferuloylmethane (or curcumin, the primary curcuminoid responsible for turmeric’s vibrant yellowish color), demethoxycurcumin, and bisdemethoxycurcumin. In addition to these three chemicals, turmerone is another of the potent volatile oils found in the root. Research has proven these curcuminoids exert powerful health-promoting effects via 160 mechanisms and pathways in the body such as antioxidant, neuroprotective, immunomodulatory, anti-inflammatory, epigenetic, and adaptogenic properties. Turmeric provides an abundance of antioxidants capable of supporting cellular health, but what does that mean for you? Here are some of the most well-researched benefits of turmeric. A randomized, double-blind, placebo-controlled study in the Journal of Affective Disorders showed noticeable and promising results with turmeric for supporting a balanced mood. Two groups were studied over 8 weeks. The first group received curcumin daily, while the other received placebo. After 8 weeks, the depression and anxiety score tests completed by all of the participants showed significant symptom improvements compared to placebo. Could turmeric be a potential new option for stabilizing mood? Cut your finger? A study in the Sept 2014 issue of Life Sciences found that turmeric (curcumin) has beneficial properties that appear to speed the wound healing process. These modes of action include the modulation of redness and welling and oxidation. As new studies come to light showing turmeric’s ability to potentiate the body’s natural healing processes and outcome, the possible breadth of applications could be enormous. An exciting study in the Oct 2006 issue of Molecular and Cellular Biochemistry demonstrated the efficacy of a topical turmeric application for wounds in rats. The results showed that turmeric increased collagen synthesis rates, improved wound contraction, and increased tissue strength and cell proliferation around the wound. Turmeric also showed antioxidant properties that helped the healing process. An impressive study completed and published in the March 2014 issue of the Journal of Clinical Interventions in Aging looked at the effect of turmeric on knee osteoarthritis pain and function. In the 4-week study, two groups were randomized and divided; one group received turmeric extract, while the other group received the daily upper limit dose of ibuprofen. Results showed that the turmeric group experienced discomfort relief just as much as the ibuprofen group. The turmeric group, however, seemed to enjoy more relief from joint stiffness. Those taking turmeric reported significantly less side effects than those taking NSAIDs. 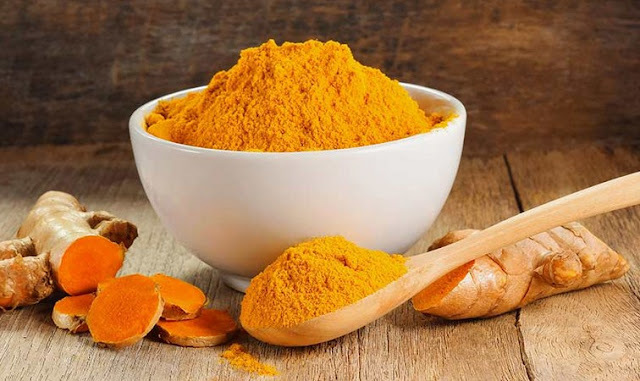 A double-blind, placebo-controlled study in the December 2011 issue of Surgical Endoscopy looked at turmeric supplementation on postoperative discomfort and fatigue in patients who had gallbladder surgery. Patients taking turmeric experienced significantly less pain and fatigue (per pain scale log assessments) at intervals of 3 weeks, as compared to placebo. A novel investigative study published in the Nov 2014 issue of The Journal of Endocrinology looked at the effects of curcumin on the insulin-producing cells of the pancreas called Beta cells (or B-cells) and Islet cells, in relation to type-2 diabetes. Researchers treated B-cell lines and human Islet cells with preparations of turmeric and reported a number of positive benefits.